Meet Addie - the light of her family! An eight-year old girl whose beauty glows from within and whose big personality brings a smile to everyone who comes into her life. 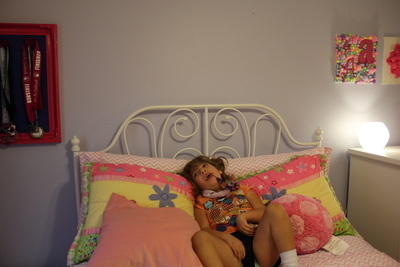 We heard about this wonderful little girl from our friends at Mingle. The nomination boasted not just about this bundle of inspiration, but also about her equally exceptional Momma, Wendy! Together, Wendy and Addie spread hope to military families in her community. After the birth of Addie in 2006, the family's life changed forever. Addie's path has not been easy - but surrounded with love and support, her diagnosis of spastic quadriplegic Cerebral Palsy has not stopped her from achieving her goals. And Addie is where she is today because of her fierce Mommy! In addition to being an amazing advocate for her daughter, Wendy formed (the Military Special Needs Network, a global organization that supports military families with dependents with special needs.) 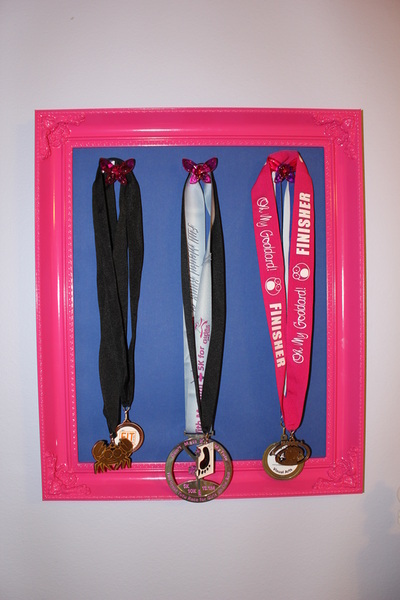 In addition, Wendy is involved with the organization "Who I Run For" where another a matched runner who lives on the East coast runs for Addie and sends her race medals." Addie's influence has spread through our tiny San Diego community and across the US. 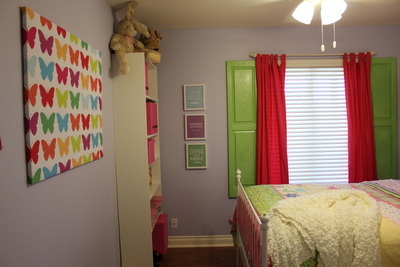 The team designed the room to leave as much floor space as possible. 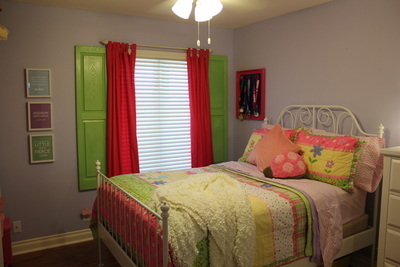 Since Addie uses a wheel chair, they wanted to have easy access to the room and the bed. 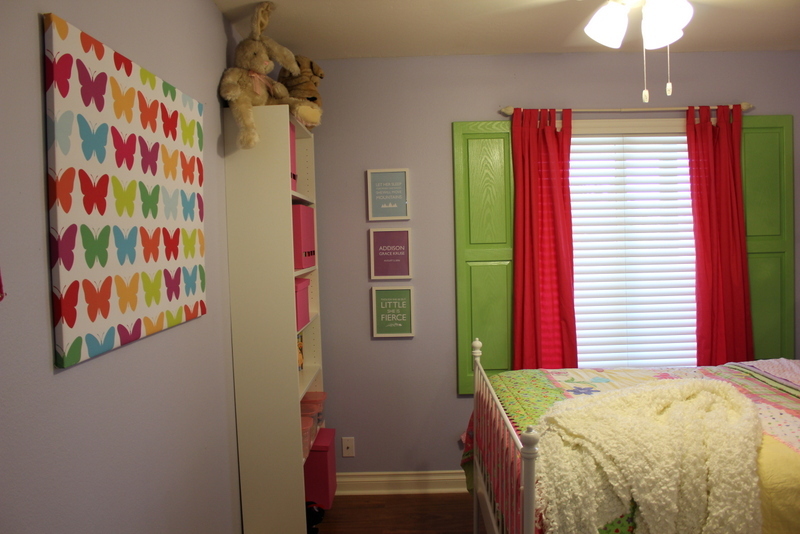 Addie is an artist and loves color so the team made the room pop! 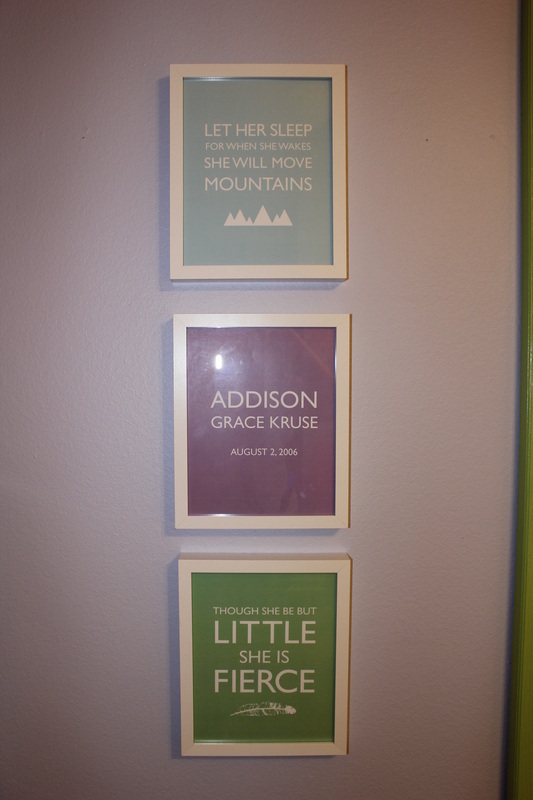 In addition, they made custom wall art that is out of this world cute! 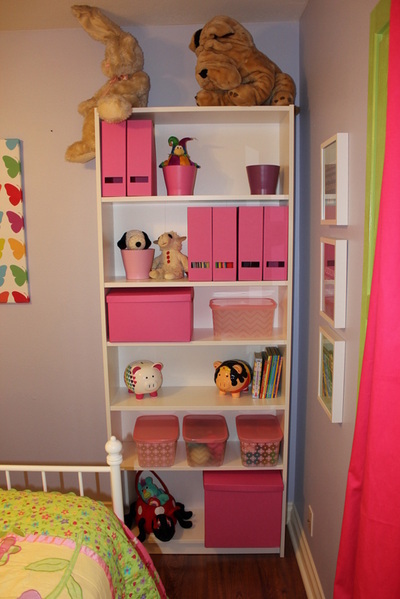 What the pictures don't show you is a tricked out closet with rack shelving and bins to maximize space. The team focused on organizing a lot of the medical equipment to optimize the usage of the room. They also added an extra bookshelf and freed up room under the bed, too. The last gift to the family was a higher bed so Mom and Dad don't have to strain as much when they get their little angel in and out of her new comfy bed! Thank you to Christina for this amazing design and for creating the custom art for the walls. Thank you John and Viki for being part of this wonderful install crew and for making the special frame to display Addie's medals. Thank you to Julie B. and Hunter for helping once again with another install, and Emily for conducting the on site visit. Cecily's Closet is an army of volunteers and if it were not for community members opening their hearts and giving with their time - none of these rooms would be possible! 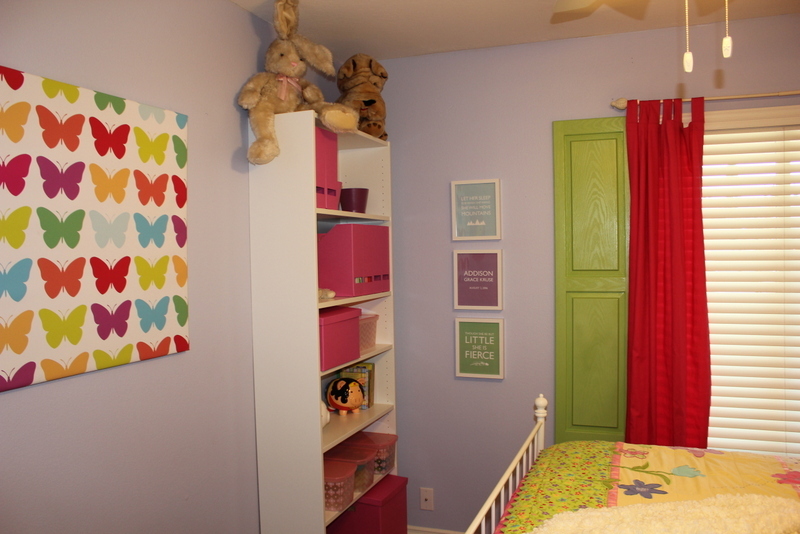 We are thrilled with this colorful studio for budding designer Addie! 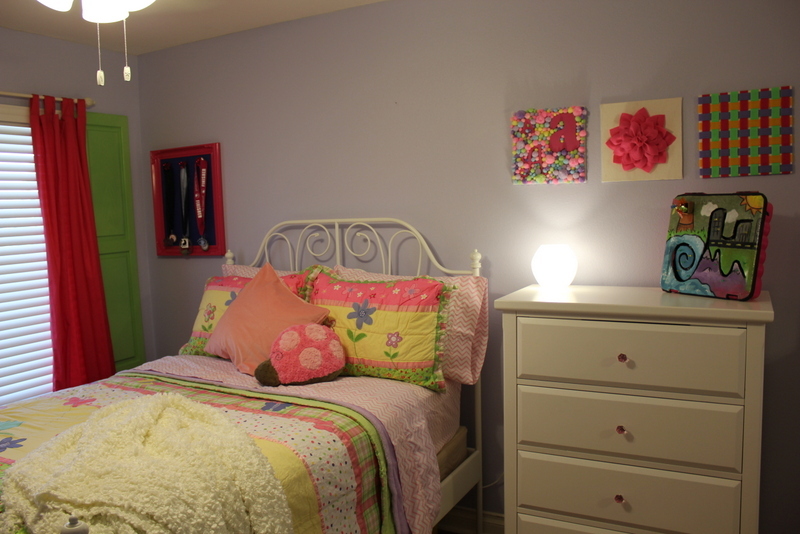 We are so grateful to all of our donors for making Addie's Sweet Dream Room Makeover come true!